It sounds like Australian gamers won't have an R18+ videogame rating for a couple more years. When it comes to videogames, Australia is like the good news/bad news joke that just keeps on giving. And while it's inevitable that the punchline will someday be delivered, that day may be further off than most of us expected. Despite the obvious failings of the current Aussie rating system and all the progress that's been made toward correcting it - which is to say, toward establishing a proper rating for mature games - a function R18+ category could still be a couple of years away. 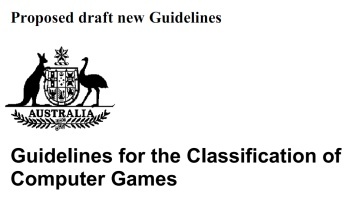 Back in July, Home Affairs Minister Brendan O'Connor said an R18+ rating for games could be just "a couple of months" away but the reality, according to David Emery of the Australian Classification Branch, is that it will almost certainly take a lot longer than that. "There is legislation that's been put to Parliament about the changes," he said. "What happens next is a long process again. It's probably going to take another couple of years before you're actually going to get an R18 that you can apply for, like a conventional classification that you have today." "It's got to go to Parliament, then there's changes that have to be made subsequent to that - to the Classification Act - to allow for people who have had a game that has gone to the classification board and been refused classification to then be resubmitted in some form," he continued. "There also needs to changes made to each state and territories classification act, that needs to go through the exact same process that I've just described, except on a state level. All of those things take ages, there are lots of delays." Emery's sad tale may not come as too much of a surprise to those with a passing familiarity with Parliamentary democracy, but it's still a disappointment. Australian gamers want an R18+ rating and more to the point, Australia needs one. And it'll get one - but not just yet.